I have been really inspired by Lime Doodle lately but especially by her cards using embossing paste. I tried to purchase it online but it has been out of stock for a while. I guess everyone else is inspired too. So I searched for an alternative and came up with spackling paste. Yup. The hardware store saved the day. Half the price and twice the quantity. I don't know how it compares to "embossing paste" but it worked great for me. 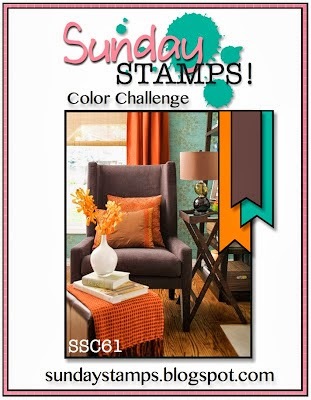 Here's my card in honor of Lime Doodle and this week's color challenge at Sunday Stamps. My only stencil is an old checks pattern that I used to use for, amazingly enough, stenciling with paint. I've ordered more stencils and can't wait to get them. So I attached the stencil to my paper with post-its and used an old business card to spread the paste over it. Being haphazard and free flowing is not one of my strong points but I tried to let it be a bit messy and not fill in every square. After the paste dried I attached the "thanks" die cuts with some Glossy Accents but a fine line glue stick would probably have been better. Does anyone know how to attach them so they are popped up and the dimensionals don't show? Lastly I added the twine and button. I'm looking forward to making more cards using this paste! Have a great day and thanks for stopping by! Edited 11/4: My card was picked as a Sunday Stamps Top Pick. Wahoo!! This is gorgeous. What a fun idea to use the paste for texture. Thanks for joining us at Sunday Stamps. I love this card!! Simple and striking! Like how you repeated the thanks die. Thanks for joining us at Sunday Stamps! What a cool technique! I love how you used the challenge colours in the repeated "thanks". And the added twine and button set the whole thing off perfectly. Thanks so much for joining us at Sunday Stamps! LOVE this card :) What a fun technique and don't you just LOVE those thinlets? 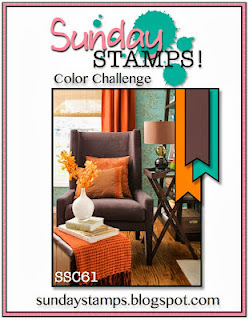 Thanks so much for playing along with us at Sunday Stamps, we sure hope you will join us again soon!!! I absolutely LOVE how your stencilling turned out! It's fantastic! The card has soooooo much texture. Thanks for playing along with us at Sunday Stamps. WOW! 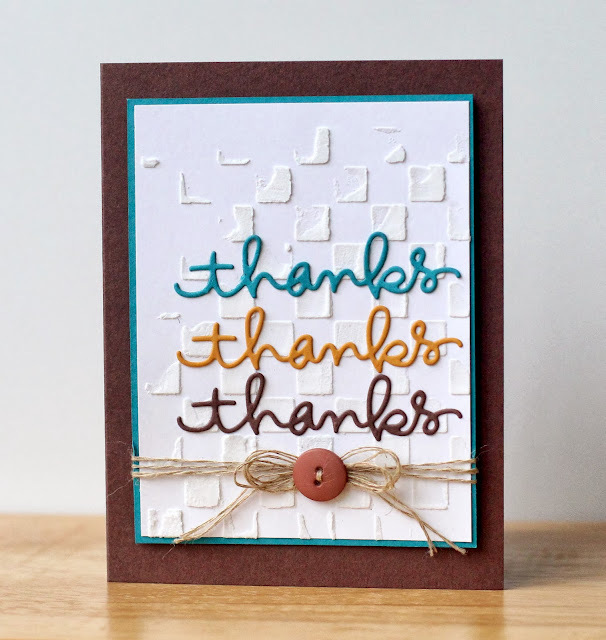 I love how you texturized this card background--it's fabulous! Oh no, yet something else I'll have to try. Thanks for explaining how you did it to. We're so glad that you linked your card up to Sunday Stamps this fortnight--a wonderful example of using these three colors together in a clean and simple sketch.